Courtesy Delightful Pastries Macarons at Delightful Pastries. Mother-daughter team Dobra Bielinski and Stasia Hawyrszczuk opened this Jefferson Park bakery in 1998 and have established it as the preferred stop for those seeking Polish pastries (or other European sweets for that matter). Polish specialties like angel’s wings cookies and kolachki are always popular, but come Paczki Day (Fat Tuesday in the Big Easy), this place sells thousands of the lard-fried, cream-filled doughnuts, including one specific to the holiday filled with boozy custard. Coffee cake, muffins and breads have universal appeal year-round. El: Blue line to Jefferson Park. Bus: 81W, 88, 91. Flour, butter, and eggs --- THAT's why I like this bakery. Almost impossible to find a bakery that invests in highest quality ingredients. If I'm going to indulge in pastries, I want the real thing! So good and refreshingly unique! You're missing out if you don't stop by. Huge variety and tasty everything! 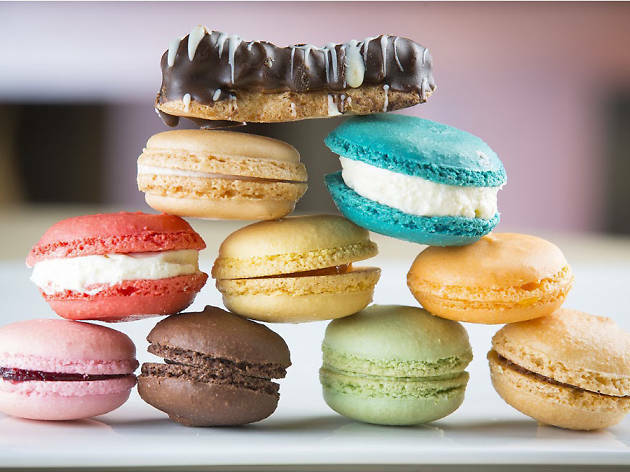 Authentic French pastries, macaroons, breads and jams. Have been coming here for years and always enjoyed the quality, homemade aspect and consistency. Dobra Belinski who owns the place is an active and engaged member of the community. In the age of corporate take over I would like to support a locally owned business that consistently supports the area and is amazing. Excellent quality. No junky ingredients (only real butter) and not overly sweet. I ordered specialty cookies for a bridal shower. They were light and fluffy and beautifully decorated! It was the perfect gift to our guests. I have loved everything that I have tasted from here! They have the most amazing treats and the staff is wonderful. I wish I could go there everyday! Best Pastries and savory sandwiches around! The best ingredients, the best customer service, the best bakery in Chicago! 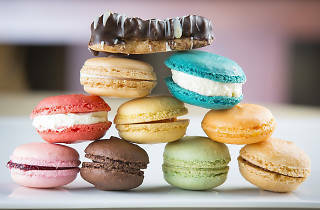 Absolutely the best French Macarons in Chicago!!! I love butter and so does this bakery.